Homelessness in the UK is at a record high with 170,000 families and individuals experiencing destitution, the charity Crisis has said. For every one person sleeping rough on the street, there is another living in a car or a tent, figures suggest. Publishing the new research, Crisis insisted the underlying causes of homelessness could only be tackled by changes in government policy. The government said it is investing £1.2bn to alleviate the problem. 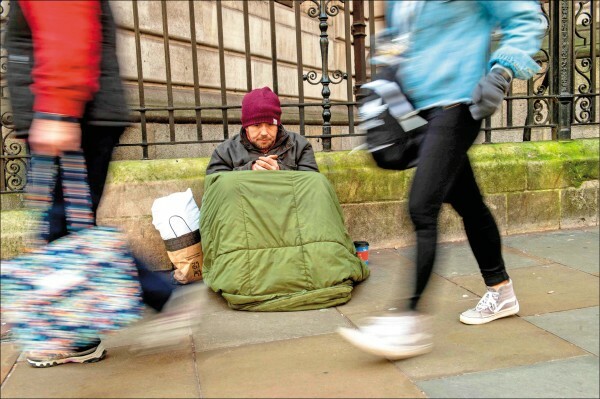 The new research on homelessness, carried out for Crisis by researchers at Heriot-Watt University in Edinburgh, suggested: Homelessness increased every year between 2012 and 2017. 38,000 under-25s and 4,200 over-65s are estimated to be homeless. 12,300 people are sleeping rough and a similar number of people (12,000) are living in cars, tents or public transport - double the amount compared to 2012.